If you are experiencing weak leg muscles, contact your doctor to determine the cause. Weak leg muscles can be from over-activity, serious illness, pain or vitamin deficiency. Muscles require nutrients such as vitamins, minerals, carbohydrates, protein and adequate fluids to function properly and at optimum levels. A well-balanced diet, a good exercise routine and rest can go a long way to keep your leg muscles healthy. 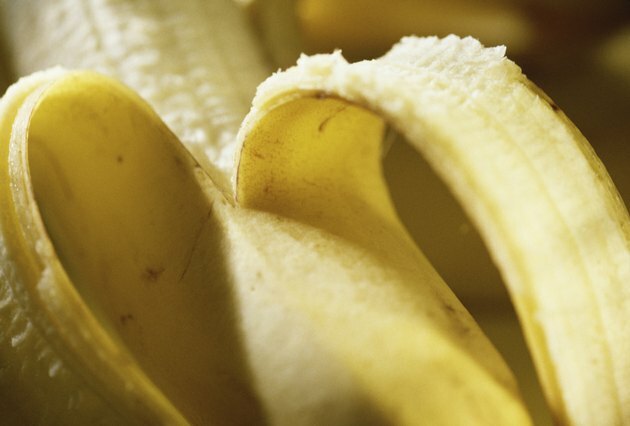 A potassium deficiency can cause fatigue, muscle weakness and cramps. Potassium is an important nutrient for electrolyte balance in the body. Muscle weakness in the legs can indicate an electrolyte imbalance. The daily recommended amount of potassium for adults is 4,700mg. Sources of potassium include baked potatoes with skin, bananas, plums, raisins, prune juice and tomato juice. Your muscles have about 27 percent magnesium, a nutrient required for energy. Magnesium is also needed for muscle contraction. The daily recommended amount of magnesium for men is 400 to 420mg and for women is 310 to 320mg. Sources of magnesium include oat bran, shredded wheat, brown rice, spinach, lima beans and almonds. Calcium is important for healthy bones and teeth, but it also plays a role in muscle contraction. When calcium binds to protein, it activates enzymes that help provide energy to your muscles, according to the Linus Pauling Institute. The daily recommended amount of calcium for adults is 1,000 to 1,200mg. 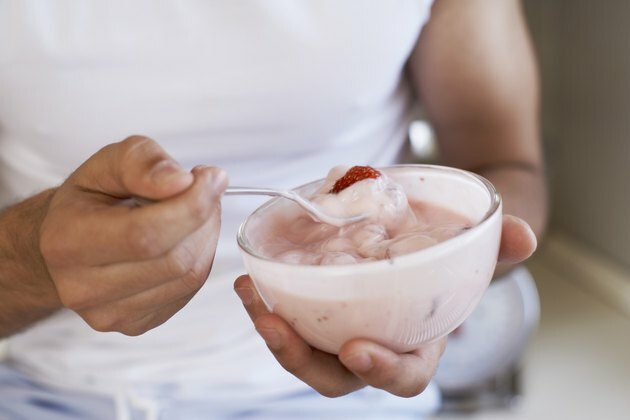 Sources of calcium include milk, yogurt, cheese, pinto beans, red beans, white beans, spinach and rhubarb. 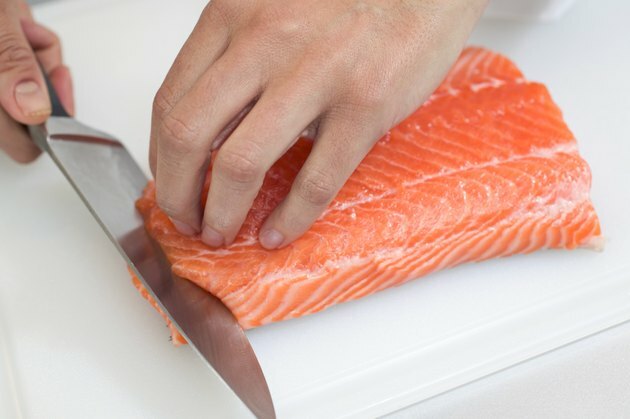 A vitamin D deficiency can cause muscle weakness and pain as muscle tissue has been identified as having specific receptors for vitamin D, according to a 2003 study published in the "Journal of Bone and Mineral Research." This study looked at supplementation of vitamin D in elderly women and muscle function. Results showed an increase in muscle strength after three months. The daily recommended amount for adults is 600IU and for adults over 71 years of age is 800IU. Sources of vitamin D include sunlight, salmon, sardines, mackerel and fortified milk, orange juice and cereal. A vitamin B1, or thiamin, deficiency can result in dry beriberi, which is characterized by peripheral neuropathy, abnormal reflexes, muscle pain and weakness in the arms and legs, according to the Linus Pauling Institute. The daily recommended amount for thiamin is 1.2mg for men and 1.1mg for women. 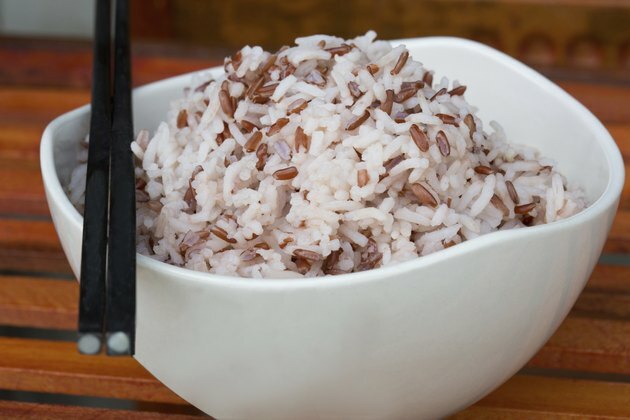 Sources of thiamin include wheat germ, lentils, peas, long-grain brown rice and long-grain white rice.